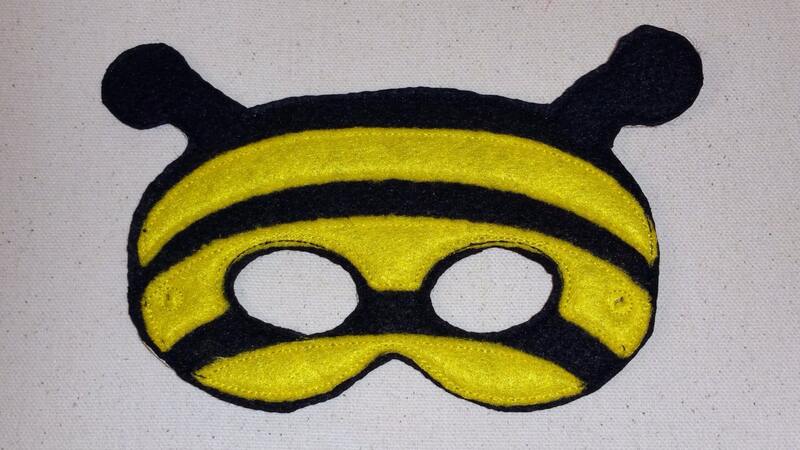 This listing is for a felt bumble bee mask. This bee mask is perfect for the days your child wants to pretend play or dress up. The mask has an elastic around the back for easy on and off. Will fit from toddler to about 7 years old. (Please note that this mask is smaller than the others being offered that is why the age was adjusted). Order a bunch for birthday favors, for the Easter baskets, or just for fun!